Laundry Soap is one most common household items found within the home. If you spill detergent on carpet, you could spend hours trying to remove it because the liquid, which is very thick, gets deep into carpet fibers. Make sure the water is cold to effectively remove the laundry soap from your carpet. Fill a clean spray bottle with the cold water. Cover the area that has the laundry detergent embedded in it with the cold water. Run your hand over the carpet until it feels sudsy like a sponge. The use a wet/dry vacuum cleaner to clean up excess water from the carpet. After you have vacuumed up the excess water, the carpet fibers will still be wet. This will allow the laundry soap to separate from the fibers. Repeat the process with your high-powered vacuum cleaner until you have gotten most of laundry detergent out of the carpet. Use a towel to dab the carpet until the rest of the laundry soap has come up. Once you have successfully extracted most of the laundry soap from the carpet, fill the steam cleaner up with the cleaning solution provided with the unit and then fill the water container to the fill line. The fill line should be at the front or back of the water tank. Do not overfill the tank as this could damage the unit. Run the steam cleaner over the spot on the carpet until the carpet fibers feel like they have gone back to their normal texture. If you don't want to undergo the task of getting laundry soap out of your carpet yourself, contact a highly rated carpet company that specializes in stain removal. Professional carpet cleaning companies have specialized equipment to remove the detergent and leave your carpet fresh. Carpet cleaning companies use specific steam cleaners and chemicals to break down the detergent components. You can even contact a carpet company after you have tried to remove the detergent yourself. 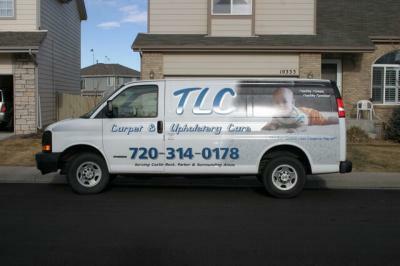 TLC Carpet Care proudly serves Castle Rock, Parker, Franktown, Elizabeth, Kiowa, Sedalia, Larksphur, Lone Tree, Highlands Ranch, and Centennial CO.